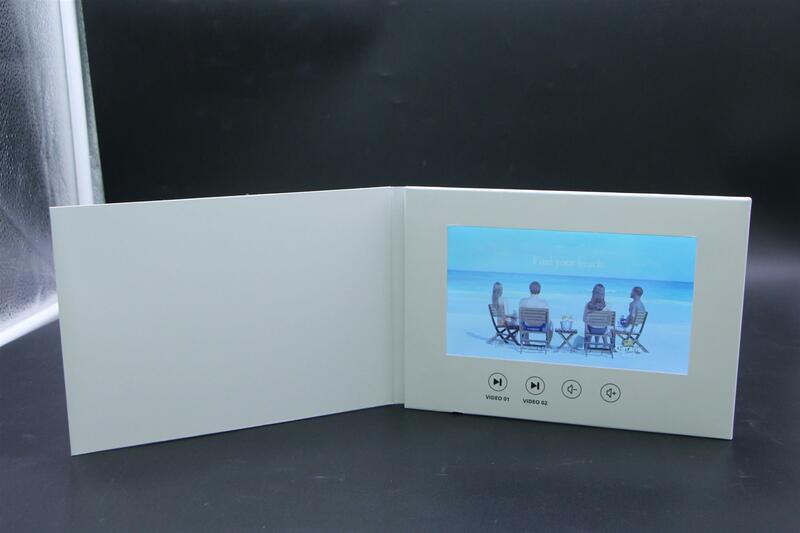 Our A5, 7-inch video brochure, is our biggest A5 screened brochure. 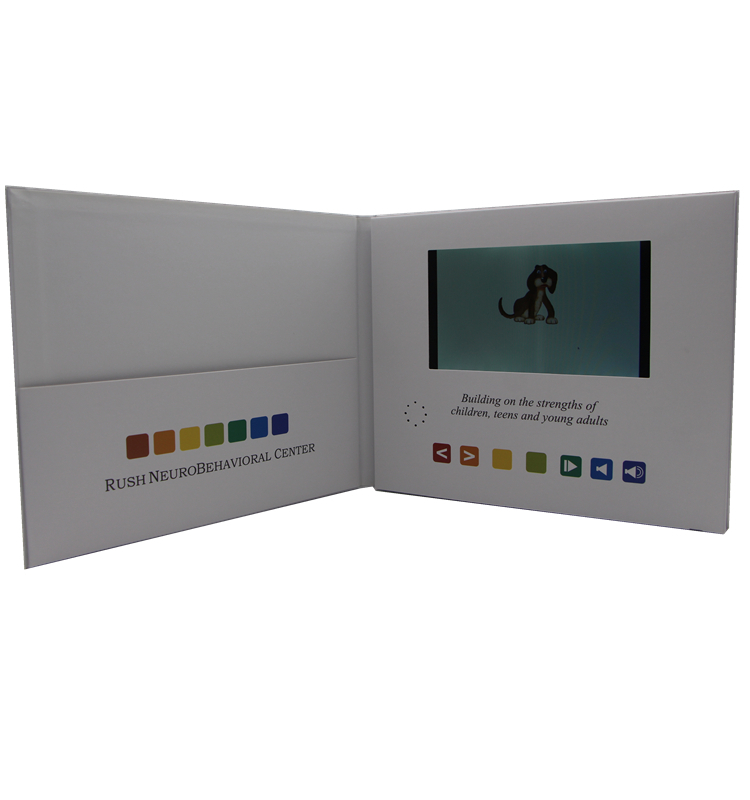 The brochure screen is the best option to show off ultra high-quality videos and it is a brilliant way of showcasing your business to your prospective customers. 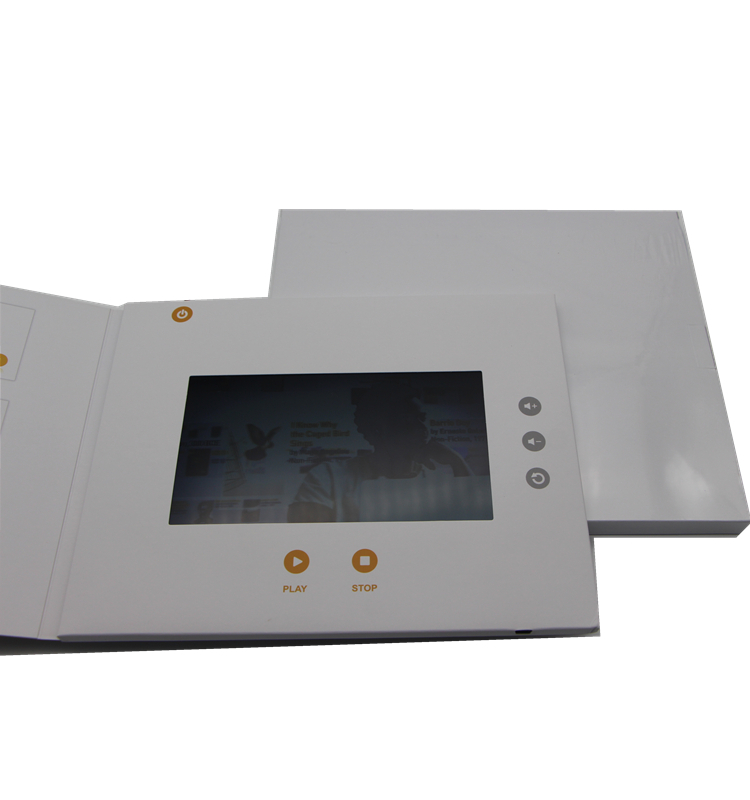 We also offer the 7-inch screen on an A4 size video card. The 7-inch screen is slightly smaller than an iPad, so plenty of impact for the visual image and good visibility for PowerPoint or written messages. If you already have YouTube or other video content, this can be uploaded together with technical presentations which customers can view easily as this is the largest screen available. If you don’t have ready-made video content, we offer a full video production service, including animation. 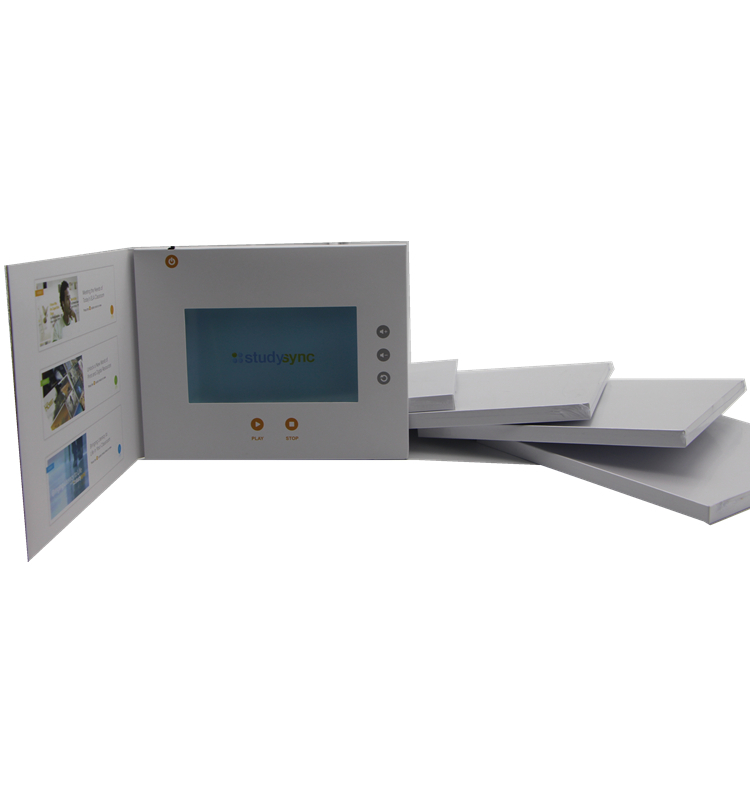 Our LCD screens are fitted with IPS (In-plane switching) technology which means your customers can view the video brochure from any angle. This also results in higher screen quality and brighter colours. 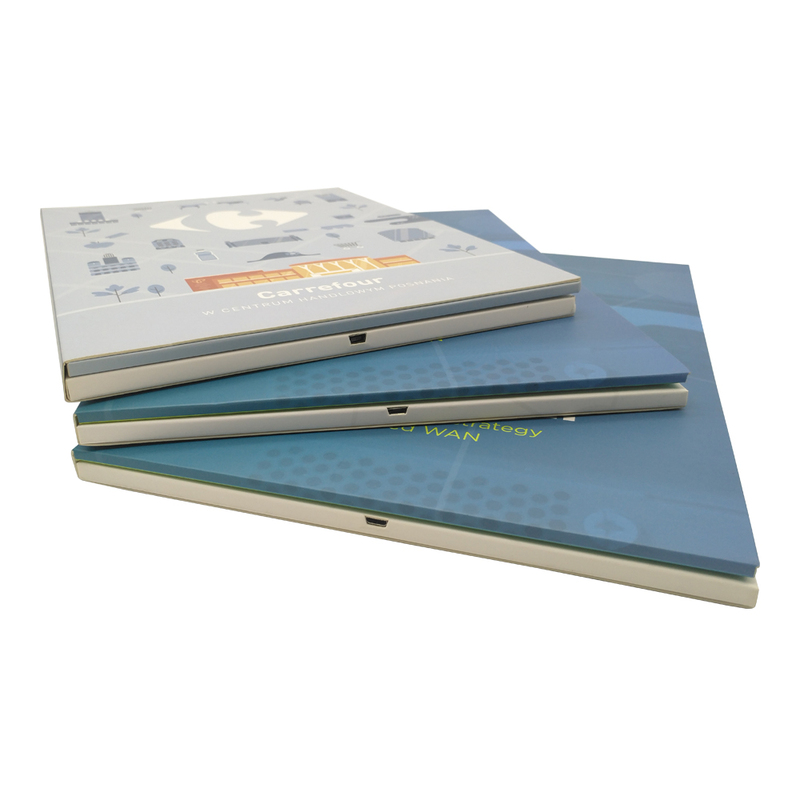 Soft covers on the video brochures have a card thickness of 9.5mm alternatively we offer a hardcover at 14mm. 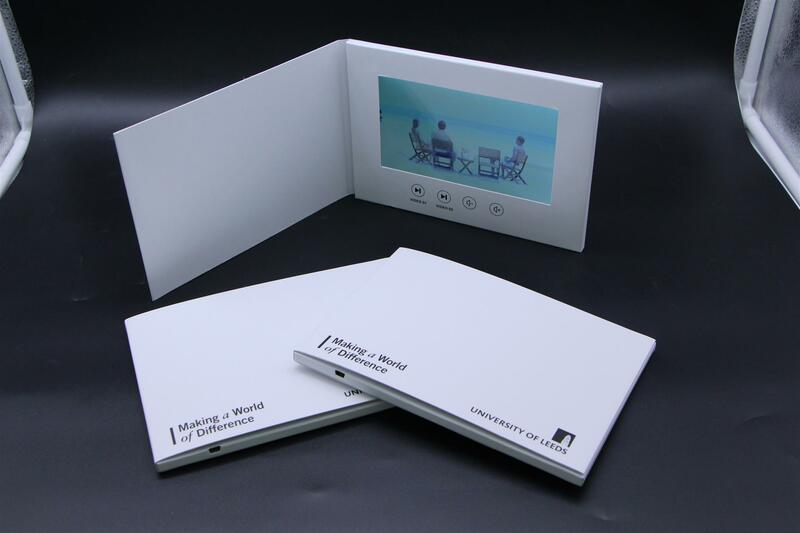 All of our video brochures are fully rechargeable and come with a USB cable for this purpose. Amazing marketing tool to show case products at exhibitions. Our clients were delighted. 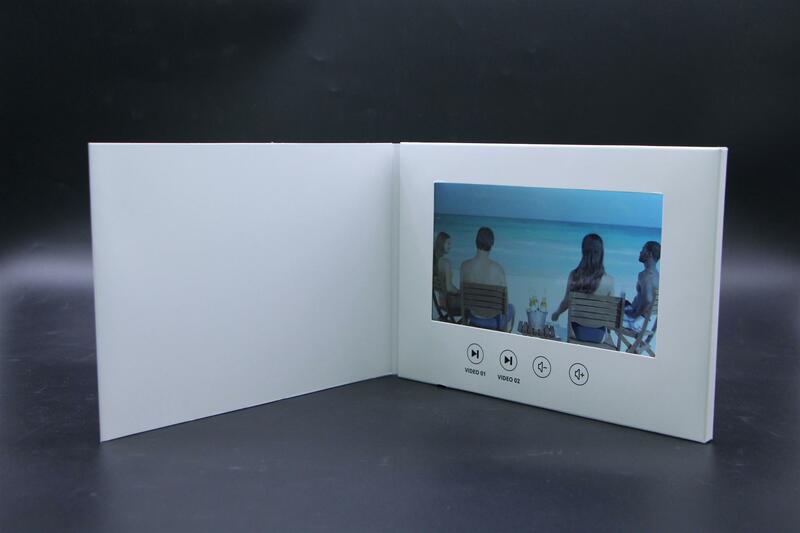 The major advantage of video brochures is the ability to display a video message without the need of an internet connection or application download. 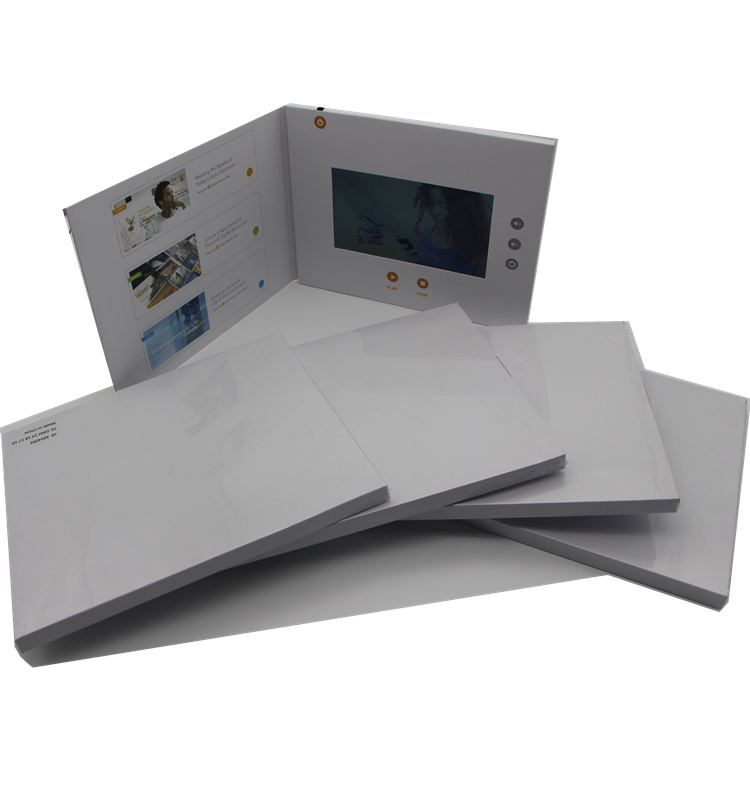 The video brochures are handy a speak for themselves, perfect as give-aways at exhibitions. Will and the team did a great job for designing and 100% put our needs in focus. Thank you Will + Team for all efforts and amazing service! Top quality video brochures to top prices. We received only positive feedback from our clients, who were clearly impressed. 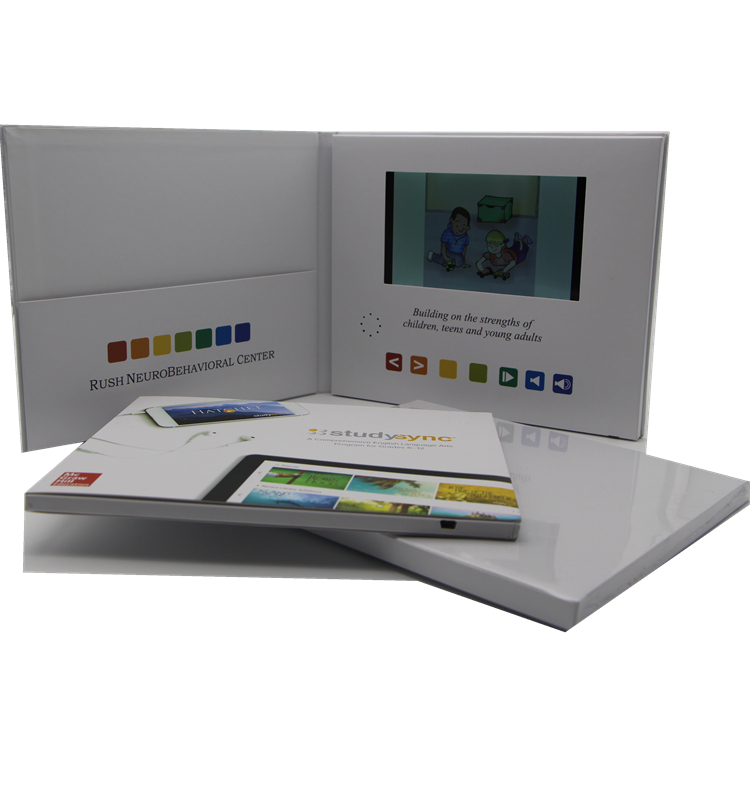 We ordered touch screen video brochures which is a great addition for our clients as they not only can view our video content but also to upload their own video content and to use them as offline tablet for their little ones to play with. It is a Win-Win marketing solution, for us to stand out and for our customers to receive a present and to feel appreciated. Great support from Will and the team!